Do you remember your first photo camera? I do remember mine. To be honest, it was my parents’ camera – Polaroid. I was ecstatic that the photo appears in no time. Something I saw around became a cute neat picture in a few minutes. There was great magic for me in this process, but when I grew older it was lost. The technical progress goes on. When I was a kid I couldn’t even dream of the cameras that are available today. Children are curious by nature. If they see that you’re carrying about a camera and don’t let it go all day long, most likely they will want to do the same. If your kid is interested in photography at an early age, don’t prevent it. Don’t lose a chance and help your child to learn shooting as a great game. And the very first step to it is buying a photo camera. 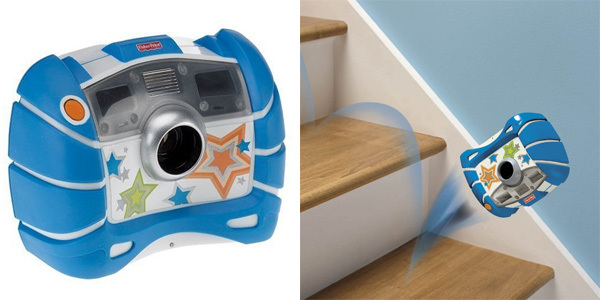 The functionality you would appreciate in a camera as an adult is not necessary for a child. Choosing a camera can be a quite difficult task. 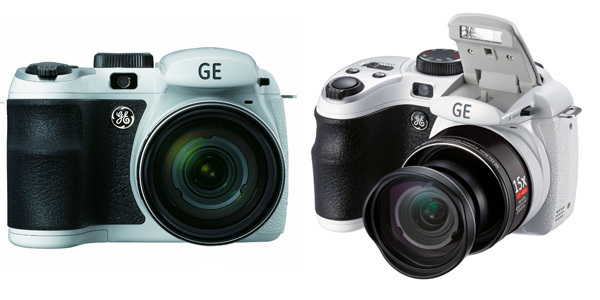 There is a number of camera models specifically for children and each of them has its own features. But which one would be the best option for your kid? 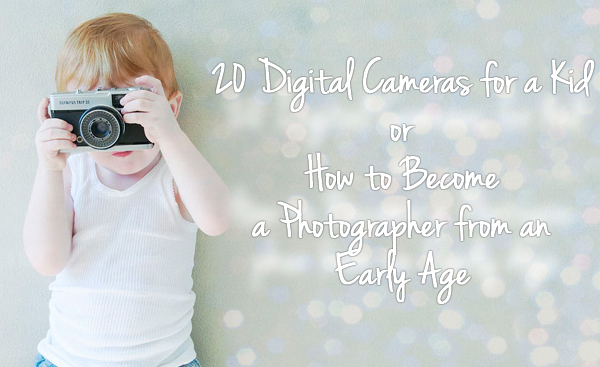 While choosing a camera for your children, you should take into consideration their age, manual skills, level of interest in the resulting photos or in the process of taking pictures itself. 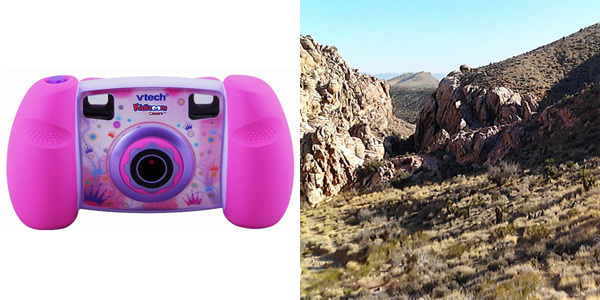 A camera that perfectly suits a 5-years-old kid would not fit to a 10-years-old child. In any case, you need a camera that is extremely durable and waterproof, because children’s life is full of motion and adventures. Photo by Belinda MercureAlso pay attention to the quality of resulting photos. If your kid notices that his camera is worth than yours, he may give up photography. The youngest photographers need two important features in a camera: extreme durability and simplicity in use. For a small child a camera is just a colorful toy. He is not interested in the result as much as in the act of taking pictures itself. Learn the options I have collected below. This camera is an Award Winning Kid Tough Camera. Moreover, it’s an impressive set of features into a tough, easy-in-grid pack. 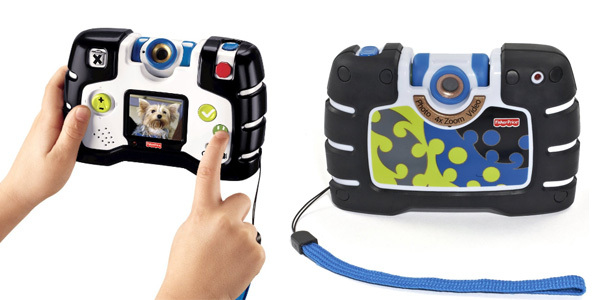 Simple buttons and easy-to-use format make this camera an ideal option for small kids’ hands. Children can see the images they have just taken on the 1.5 inch color LCD preview screen. Also, the camera can store up to 500 pictures on its 128Mb flash memory card. Despite of its toy look, the camera is real. 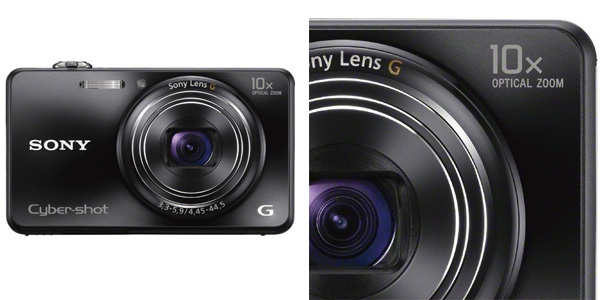 It has 1.3 MP image resolution and 4x zoom to take a good shots. You’ll find three games on it as well as 128Mb internal memory storage for 1000 images. Your kid can take pictures with funny borders, stamps and silly photo effects. 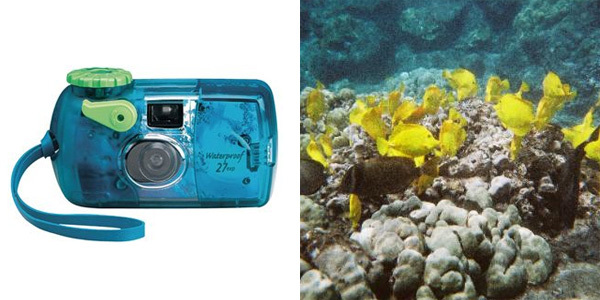 This bright and colorful photo camera can take pictures under water. It’s waterproof to a depth of 17 feet. It has 35mm film format and 27 exposures. It also includes a hand strap and 800 IOS speed color film. If you’re going to a trip with your family this camera would be a perfect option. This camera is good for babies. 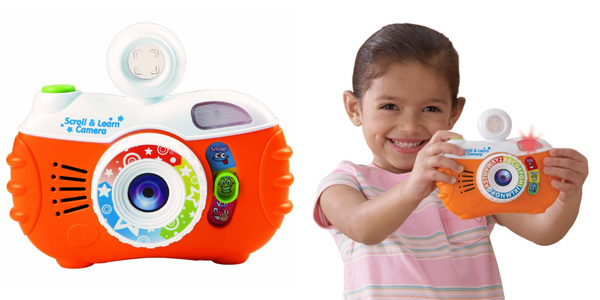 It will help your kid to learn camera equipment with fun and sounds. 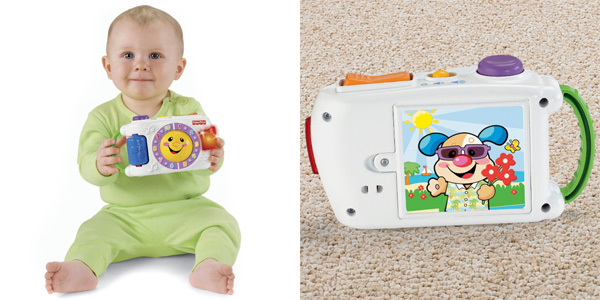 While taking a picture, your baby will hear funny sounds and songs that will surely make him or her laugh. Integrated handle allows you to take the camera everywhere you go. This toy will bring much joy to your kid. 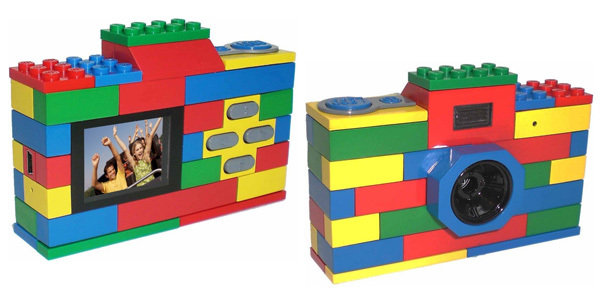 This camera was made specially for Lego lovers. It has 3 MP image resolution and can store up to 80 photos. The pictures can be easily downloaded to your computer via USB. Built-in flash and fixed focus allow to take pictures even in low light situations. Your kid can take funny pictures and see the photos at the same time. 180-degree rotating lens allows him to take a picture of himself. Lots of funny shapes and effects turn your child’s pictures into really funny shots. The swivel holds three different positions: backward, forward, and up. Great software to edit pictures is included. Let your kid show you the world through his eyes. 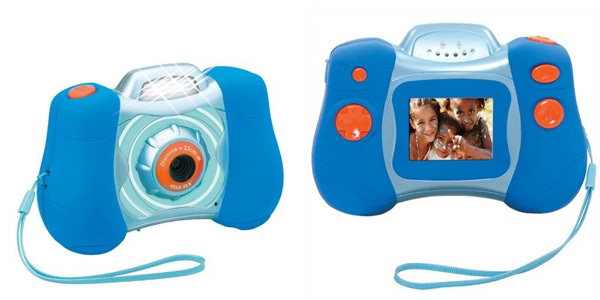 This innovative toy is a real digital photo camera. It is sturdy and simple enough for kids up to three years old. It also has an LCD preview screen to see the pictures once they are taken. It has a black and white back screen. This camera is a great toy for babies. Its price and quality are perfectly balanced. A viewfinder and a LED flash make a realistic photo camera experience. Bright design is perfect for kids. It was made for ages from 3 and up. 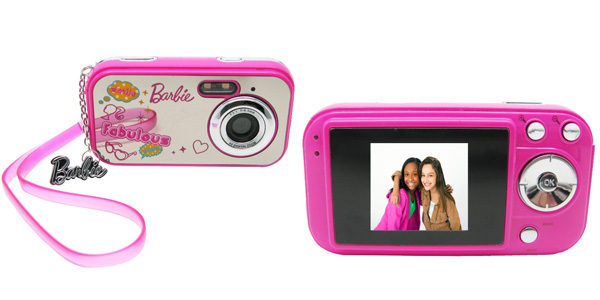 Your little girl would be more than happy with this cute digital photo camera. It has a mirror surface on the front side to take great self-portraits. Custom Barbie charm will make all her friends jealous. It also allows to transfer pictures to the computer through USB. 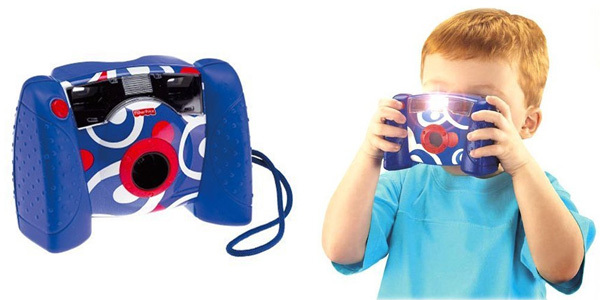 This amazing kids digital camera does more than others do. It’s really child-friendly. It takes photos and videos. It contains built-in picture and voice editors and an advanced TFT screen. It also has 12 games. 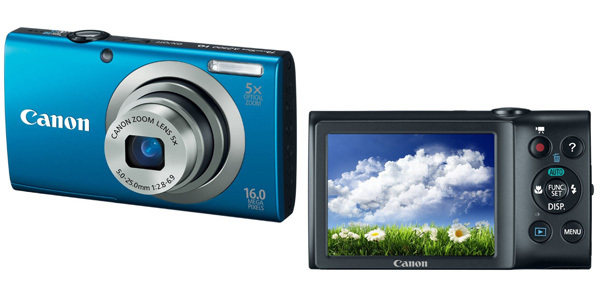 The camera supports up to 4 GB SD memory cards. It was made for ages from 3 and up. Older children need bigger toys. In this age children imitate adults even more than earlier and want to grow faster. Of course, camera’s durability still matters, but it is critically important to buy a camera that is not a plastic toy. 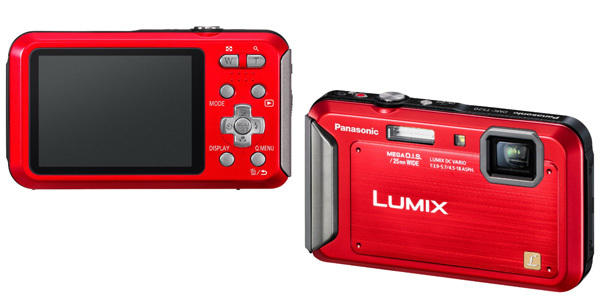 This stylish and simple compact digital camera makes it easy to get a great shot every time. Smart auto picks proper settings, therefore this camera is perfect for children. The camera has hot an impressive 16.0 megapixel image sensor and performs really fast. New digital Image Stabilization reduces blur. This amazing camera is waterproof up to 16 feet under water. It allows your kid to shoot with one hand while maintaining balance. You can clean the camera with water from dirt, soil, and dust. You can also shoot wile skiing, skating, and snowboarding in temperatures as low as 14 F. This digital camera is available in black, blue, red, and orange colors. 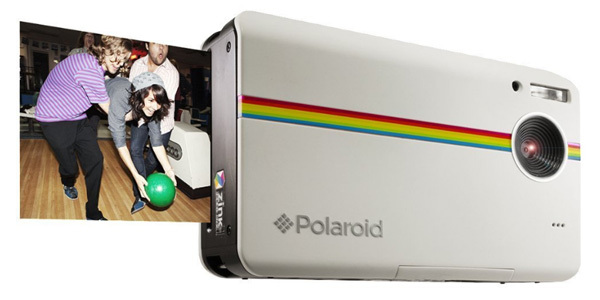 The Polaroid digital camera features an integrated printer with ZINK technology. 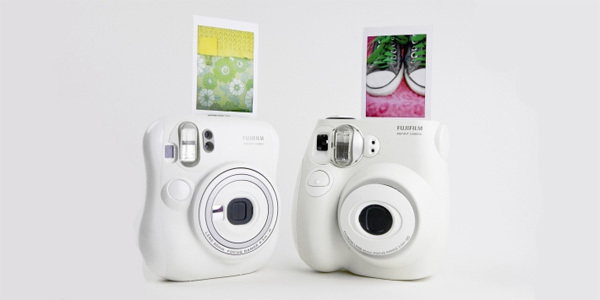 It allows users to capture, edit and print images in less than a minute. Along with the ability to upload pictures to any social platform, the camera combines easy-to-use features to take really exciting shots. It also has 32Gb of expandable memory. Your kid will be more than happy with such camera. You can take this camera everywhere: to the pool, restaurant, park or whatever. This camera is waterproof and is ready for any extreme situations. Your child can take a picture, see it at once and share it with his friends in the social networks. It’s available in orange, black, and blue color, just choose the one you like the most. This awesome white film camera with close-up lens allows you to shoot macro photos. It is simple in operation and is easy to carry around. It also has a mirror to make self-portraits. Your child can set manual exposure compensation and learn to shoot easily. 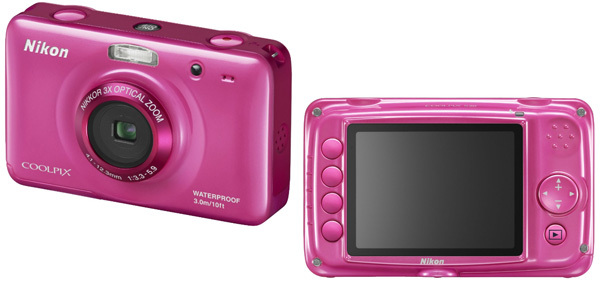 This digital camera is a perfect option for a girl. You can choose pink or blue camera. 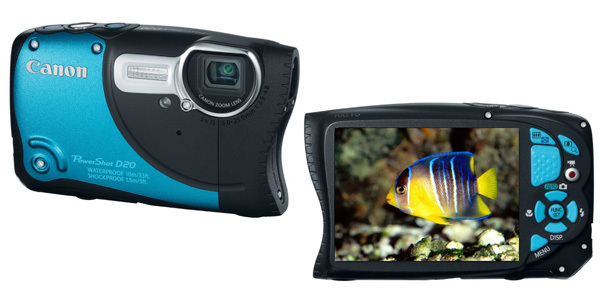 It has 10.1 megapixel CCD sensor. It also allows you to take HD videos. 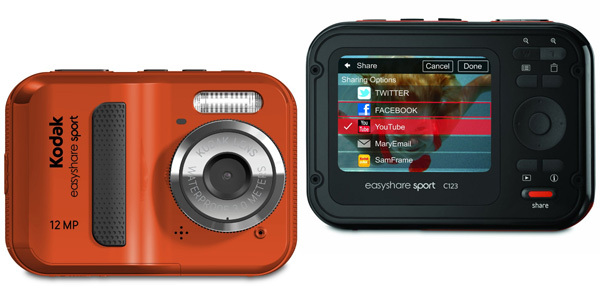 The camera is shockproof and waterproof, so it is ideal for poolside action as well as playground fun. Do not let not-so-steady hands prevent your kid from capturing the moment. With this photo camera you can say “good bye” to blur forever. Its autofocus is faster than ever thanks to collaboration of four technologies: lens, image processor, optimized focus processing and sensor. The camera can also record crystal-clean movies. This camera is powerful and easy in use. All the latest camera technology is built in to capture priceless memories that define your life. Your kid can get close to the action and take pictures like a real pro. 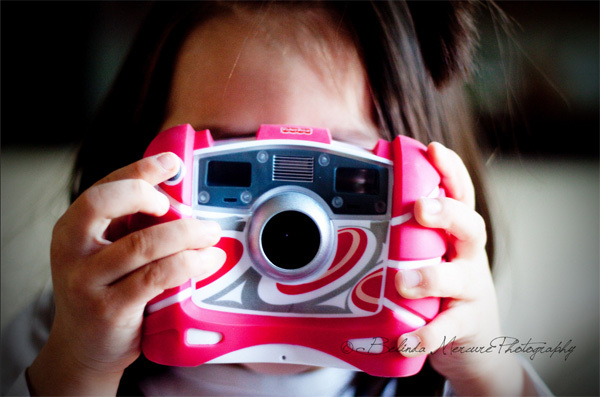 This camera is perfect for older children who want to devote their lives to photography. Digital cameras were specially created for children, I think. 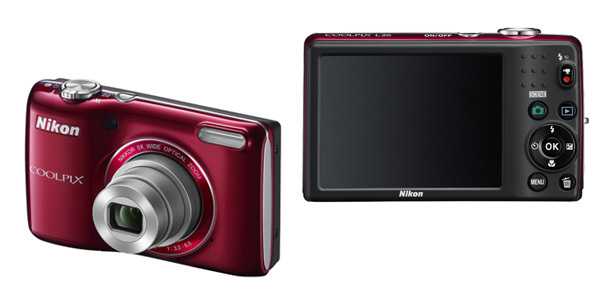 This Nikon camera has 16.1 megapixel CCD sensor and 5x zoom glass lens. Buit-in 16 GB memory card allows to store lots of photos. Thanks to USB you can easily transfer pictures to your computer. This incredible camera is waterproof to 33 feet and is temperature-resistant from 14°F to 104°F. It means that the camera is also shockproof. A lot of optional accessories can enhance the camera even more. Therefore, this is an ideal variant both for you and your children. When the camera for your kids is already chosen, let them experiment. As Patton once said, “If you tell people where to go, but not how to get there, you’ll be amazed with the results.” So, children have their own perspective on life and camera allows them to open their creativity to the fullest. I hope these tips have alleviated your hardships and helped you to choose the right camera for your kids.